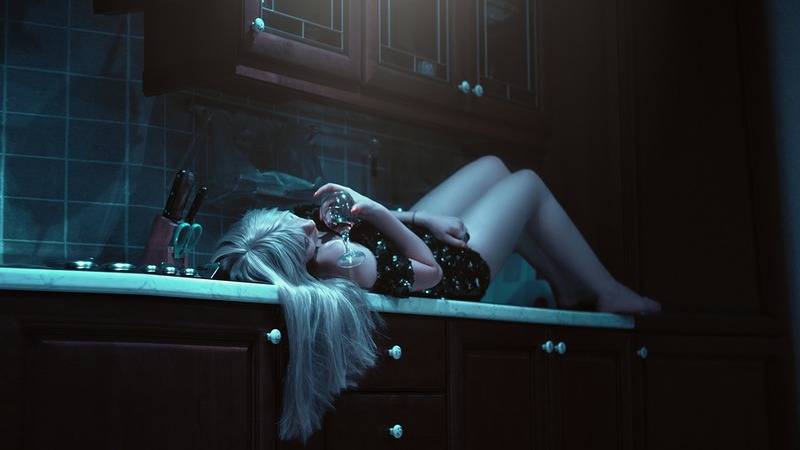 Why is alcohol abuse among women increasing at such alarming rates? women are abusing alcohol at alarming rates. As we move into a new year, it’s time again that many of us think about positive ways to change our lives. It’s likely that many of these New Year’s resolutions pertain to improving our health. Even those among us blessed to feel of good health could always be one step away from a crisis thanks to silent killers like undetected heart disease and cancer. Plenty of reports remind us that heart disease is the No. 1 killer of men and women, and a silent one at that, responsible for the deaths of more than one-fifth of the U.S. population. But as we enter 2019, perhaps it’s time many of us focus on another silent killer: alcohol. New statistics from the Centers for Disease Control and Prevention show that in the United States, life expectancy has dropped for the second year in a row, in large part driven by increases in deaths by overdose and suicide. While we might assume these statistics are a result of the opioid epidemic, alcohol is a far greater danger. About 72,000 people die as a result of opioids each year, compared to 88,000 lives ended by alcohol. Women, in particular, are dying of alcoholism at an alarmingly-increasing rate. In fact, according to a study from the University of Washington, alcohol-related deaths among women rose by an astounding 67 percent over a recent 10-year period. The study also determined that alcohol is the leading cause of death worldwide for people aged 15 to 49. The epidemic can be called a silent one because those who die from alcohol use usually die of a related disease that is cited as cause of death. For example, the actual cause of death might be cancer, suicide or cirrhosis, but the true culprit was alcohol abuse. Therefore, alcohol-related deaths are difficult to track. And without hard evidence, it is harder to motivate change among users. Many women are in danger of undiagnosed alcoholism. Pop culture has promoted the concept that a bottle of wine is mother’s little helper, relaxing her enough to deal with the stressors of parenthood and life. After all, a glass of red each day is good for you, right? Maybe so, but that one glass a day might be hard to maintain. The University of Washington study, which examined more than 1,200 data sets and other related studies including 28 million people, determined that any health benefit of drinking any amount of alcohol is overshadowed by the inherent risks. “The widely held view of the health benefits of alcohol needs revising, particularly as improved methods and analyses continue to shed light on how much alcohol contributes to global death and disability,” the study’s lead author Max Griswold explained in a press release. While alcohol use is quickly becoming a global health crisis, what is going on with women? Why is their abuse skyrocketing at nearly three times the rate of men’s? Not only are more women drinking, but more are dying as a result. Female alcohol abuse disorder in the United States increased by 83.7 percent between 2002 and 2013, according to a 2017 study by the National Institute of Alcohol Abuse and Alcoholism. High-risk drinking – more than three drinks a day or seven per week – rose by 58 percent between 2001 and 2013, according to 2017 data from the National Epidemiologic Survey on Alcohol and Related Conditions. Deaths from cirrhosis rose by 57 percent among women between 2000 and 2015, compared to 21 percent for men, according to the CDC. Many more women than men were treated in emergency rooms for alcohol-related issues between 2006 and 2014, according to the NIAA. More than 51 percent of women surveyed in 2015 engaged in binge drinking within the prior month, according to the NIAA. Some of these increases can be attributed to the aforementioned effect of pop culture, but women are also experiencing higher levels of stress and anxiety than in the past. According to Wharton School of Business economists, working women are unhappier than mothers of 40 years ago, and they are even unhappier in comparison with men. Regardless of lifestyle changes, much of the increases also relate to the lesser-known ways that alcohol affects women differently than men. In society, we may all be created equally, but biologically that’s simply not the case. Women are more susceptible to alcohol-related illness and injury for a variety of reasons. Not only do women typically weight less than men, so they can feel the effects of alcohol more quickly, but their bodies usually contain a higher fat composition than men, which leads to a lower percentage of water in their bodies. Less water equals less fluid to dilute the alcohol. The physiological differences don’t end there. Women possess lower levels of alcohol dehydrogenase, a metabolizing enzyme that helps the body break down alcohol. Therefore, a greater portion of intaken alcohol enters a woman’s bloodstream than a man’s. Furthermore, higher estrogen levels actually hasten the intoxicating effects of alcohol. Women also experience faster progression of alcohol-related disorders. According to Vonnie Nealon of the Warriors at Heart treatment facility, this occurs because they are more hesitant than men to seek help, they are less likely to discuss their alcohol use with doctors, and medical professionals routinely fail to ask women about their alcohol intake. “It matters because, while women seek treatment for almost every other physical and mental health problem at higher rates than men, women who experience problems related to alcohol generally don’t seek treatment,” professor Tim Slade of Australia’s National Drug and Alcohol Research Centre explained. Like many of life’s mysteries, the reasons for the increase in women’s alcohol abuse are varied, and it’s hard to pinpoint any exact cause. What are certain are the damaging results and the understanding that women must drink with greater care and caution than men, whether we like it or not. So, let’s look ahead to 2019 with clear heads and the resolve for greater sobriety.